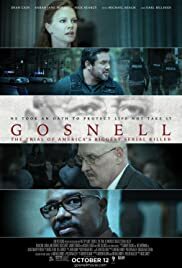 Director: Nick SearcyWriters: Andrew Klavan, Ann McElhinneyStars: Janine Turner, Michael Beach, Dean CainSummary: This police/court room drama is based on actual information on Dr. Kermit Gosnell (played by Earl Billings) who for decades ran a Philadelphia inner-city abortion clinic. In 2010, Philadelphia Police Detectives Wood (Dean Cain) and Stark (Alfonzo Rachel), with DEA and FBI agents, raid the clinic for evidence of illegal prescription drug sales. They are shocked by the clinic's filthy conditions, bags of aborted fetuses in hallways, and fetal body parts stored in a refrigerator. Interviewing clinic workers, they learn: patients are given anesthesia by untrained assistants; one patient died on the operating table from an anesthesia overdose; abortions were performed on babies older than 24 weeks; and some babies were delivered alive, after which Dr. Gosnell cut their spinal cord with scissors. The detectives take the bagged bodies to the coroner and bring the situation to the attention of DA Dan Molinari (Michael Beach). An Assistant DA (Sara Jane Morris) agrees to prosecute the murder ... Written by Judith O.